Performers include: Gary Sinise, Alana De La Garza, Daniel Henney, Annie Funke, and Tyler James Williams. A spin-off of the Criminal Minds TV show, this crime drama follows the specialized International Division of the FBI. The members are tasked with solving crimes and coming to the rescue of Americans who find themselves in danger while abroad. Heading the International Response Unit is Unit Chief Jack Garrett (Gary Sinise), a seasoned 20-year veteran of the Bureau. He works with a specially-trained and diverse team. Clara Seger (Alana De La Garza) is a very intelligent and well-travelled multi-lingual cultural anthropologist. Matthew Simmons (Daniel Henney) is a former military hero with very fast profiling skills which he honed on the battlefield. Mae Jarvis (Annie Funke) is the team’s fearless (yet fun) medical examiner. Russ “Monty” Montgomery (Tyler James Williams) is the unit’s compassionate and brilliant tech analyst. Working stateside, he liaises with the families of those in trouble. These highly-trained agents are dedicated to safely returning United States residents back home by profiling and identifying criminals who are beyond our borders. First aired: May 17, 2017. What do you think? 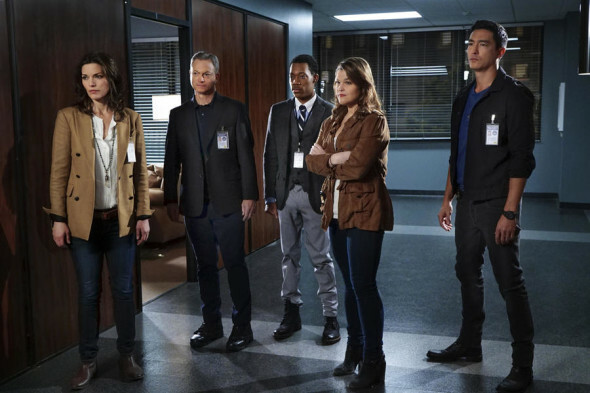 Do you like the Criminal Minds: Beyond Borders TV show? Do you think it should have been cancelled or renewed for a third season? I enjoy this show, different countries each week. Never watched CSI until this series! Was interesting seeing the other countries! Great show! A great show with different stories each episodes not different people with the same story. It’s a great loss to television. This show should have got a renewal .Lots of exotic locations intense storylines with lots of intrigue and a great cast .Please rethink renewing this ? I really liked this spin off . Enjoyed Criminal Minds Beyond Borders. Why are you canceling thus show?? This is so frustrating you had a great show and great actors. Really interesting. Why did you cancel ugh.! On another network they have a new show so similar the brave getting great reviews and my friends switched to watch because you cancelled but we all agree not as good as your show Criminal Minds Beyond Borders. What a shame for your viewers and your network! CBS CAN YOU HEAR YOUR VIEWERS NOW. Great show. Please don’t cancel!